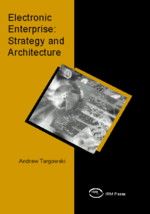 In this chapter trends of IT-driven enterprise development are presented. These trends compete among themselves for supremacy. They do not create a well integrated set of techniques; vice-versa, this set is very eclectic and contains techniques very old and still applicable, like the System Development Life Cycle, and new ones, like Web technologies. These trends are extended into issues of an IT vision for the 21st century, IT skills, and computer controversies that may influence IT developers’ awareness about how to pursue IT developmental projects.